In this post, I will show you how to change the default language in Google Chrome web browser with the help of following some simple steps. Google Chrome allows users to select their preferred choice of language for web surfing. Google Chrome supports more than 100 languages and can provide the web content in your preferred language whether it is English, French, Hindi, German, etc. 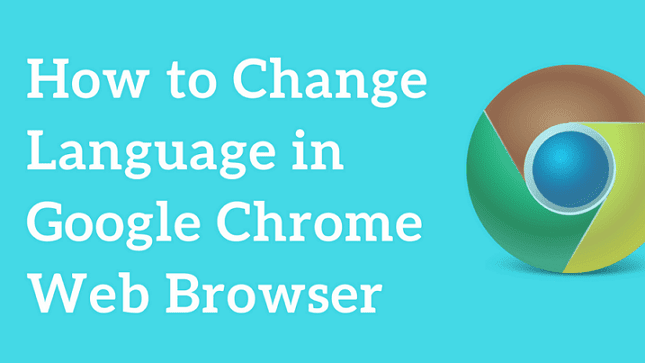 Follow the below step by step guide to change the Google Chrome language from default to your preferred language. Step 1. Open Google Chrome and click on the menu icon ( 3-vertical dot ) located at the top-right corner of the chrome window. Step 2. A drop-down will appear, click on the Settings. 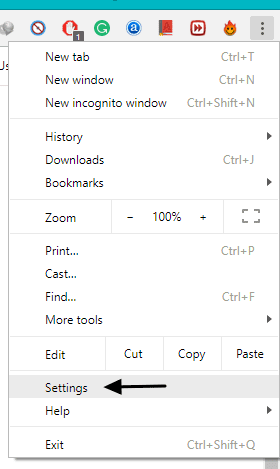 It will open chrome settings window in a new tab. OR You can directly go to the settings screen by entering the chrome://settings URL in the address bar. Step 3. Scroll down to the bottom and click on Advanced. Step 4. Scroll down further to locate the Languages section and click on Language. Step 5. Click on the ‘Add languages’. Step 6. In the Add language window, write down your language name in the field or you can select a preferred language from the available options. In my case, I am changing the default chrome language to Hindi. Click the Add button to add it to your language list. Step 7. Now, you will find your added language at the bottom of the list. Click the menu icon next to your chosen language, and mark the checkbox – ‘display chrome in this language‘. Relaunch chrome browser to active these settings. After restarting the chrome browser, you will be able to surf the web in your chosen language. 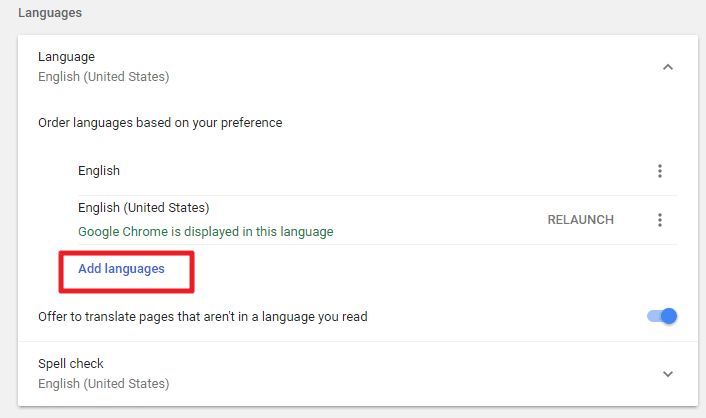 Some web pages might not support your preferred language, so to overcome this issue you can tick the checkbox ‘Offer to translate pages in this language‘ that tells Chrome to automatically translate web pages in your chosen language. That’s it from this article. 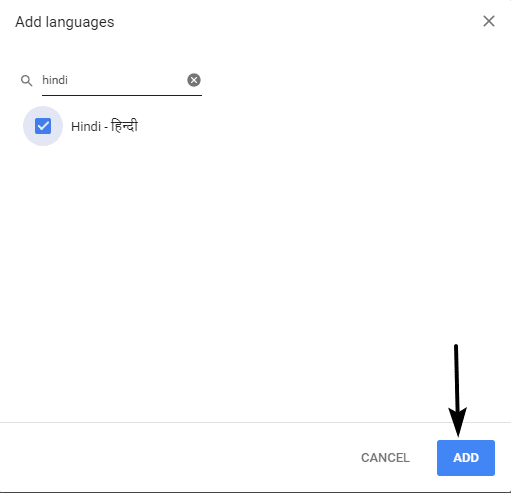 If you have queries or questions regarding changing your default language in google chrome, feel free to ask in the comments below.